2013 was a great year from the academic metrics point of view – many articles were written, twice I published articles which were written up in Nature Reviews, I got a PhD student across the line, I had more citations than every before, and my h-index continued to increase. My PBRF score came out a “B”, which given it was based on only 4 years work I was happy with, and to top it off 3 months ago my university promoted me to Associate Professor. There are a number of reasons for this situation: (1) I failed to successfully beat other grant applicants to the prize – something I have to do regularly for me to survive in academia, (2) I failed to persuade the university to shift funds from one priority to another, and (3) I have failed to persuade (successive) governments to change the focus of their funding from projects to people. The reality of the situation in New Zealand is that within universities the position of investigator driven grant funded (only) research scientist is under threat. It is a “career path” which has all but disappered. Should this career path be cleared and made navigable once more? That’s something the policy makers in universities and government departments need to think about. For me, the consequences are that the work I have been doing on Acute Kidney Injury must slow down dramatically. I’m still looking to carry on some work part-time – at the very very least I still have the data which patients have volunteered to provide which needs writing up and publishing. I see this as a moral responsibility. Fortunately, this post is not all negative. Two weeks ago I began a part-time position as a Senior Research Scientist with the Emergency Care Foundation. This is a great opportunity to get involved with some world-class research emanating from the Emergency Department of Christchurch hospital. At a later stage I will post on the studies and trials we are running. One last comment, Sir Peter Gluckmann wrote recently of the “Impact Agenda” for publicly funded research. He talked of what are sometimes seen as competing impacts – that of the universities with an emphasis on publications, citations, and that awful pathetic publication metric called the “impact factor”, and that of policy makers wanting research to impact public policy, societal health, the environment and the economy. 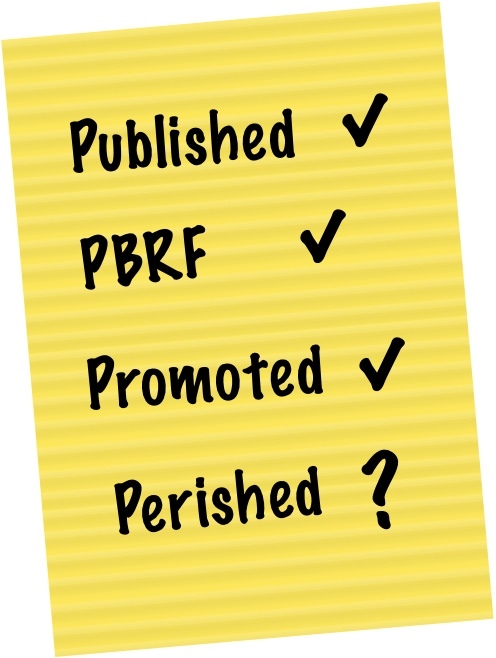 I think there is a need for some given and take – academic institutions and academics need to take a breath and re-evaluate the public good of metric driven research – some changes to the PBRF system could help this. Indeed, I wish many of my fellow academics would recognise they are in a service industry, where ultimately they research for the good of the public. Policy makers and politicians, on the other hand, need to step back from treating scientists as if they were engineers who can be told to build something. Science just does not work like engineering, it is not a tool to be used to produce a desired output, rather a methodology by which great changes and great good can happen. It’s a salutary story. I hope the position with the Emergency Care Foundation works out. All the best for your new position. Unfortunately the alleged cost of doing practical science ($/FTE/yr), and the ever-increasing number of applicants for the fund lotteries ( aka bidding rounds ) is destroying research careers faster than ever before. Did you see what i did there science-business-bureacracy-policy honks-administrators in New Zealand?? I suspect that many scientists on soft money are dangling from the cliff’s edge, perhaps not all the time but at least some of the time – securing funding is an ongoing struggle for life. They, as well as the ones that have fallen, rarely speak out for obvious and less obvious reasons. It seems to me that scientists’ voice often doesn’t reach the policymakers’ ear or, when it does, in a distorted way. In my view, the increasing influence of managerialism and corporatization in academic institutions will not help to bridge the widening crevasse and will likely lead to more reliance on limited or flawed metrics to make decisions, be it for funding or otherwise, and to set policies & strategies. At the same time the institutions are under pressure by the Government to conform to this model and to surrender some of their autonomy. Most scientists haven’t got an entrepreneurial bone in their body and “The Owl of Wall Street” doesn’t have to right ring to it anyway. I will read Prof. Gluckman’s blog in the hope that I got it all wrong but the draft Tertiary Education Strategy (TES) 2014-2019 http://www.minedu.govt.nz/theMinistry/Consultation/TertiaryEducationStrategy.aspx (to which I made a submission thanks to being alerted to it through a blog on this site by Michael Edmonds on 1 Nov 2013) didn’t give me the warm fuzzies. Dr Pickering, I am sorry to hear of your plight and I wish all the best in your new environment and please keep up the good work (i.e. the science, the blogging, etc.). I’m really glad you decided to write this post. We need more voices telling it like it is, not less. Alas, I don’t think anyone who can do anything about it, is listening. All the best for your new post. John, it’s good to hear about the new post but I’m so sorry to hear that all the good things you were doing weren’t sufficient for your previous institution to keep you on. Like Siouxsie, I’m really glad you posted this; it’s a pity that those who probably need to hear it the most, won’t. Sorry to hear about the loss of funding, glad to hear at least the Emergency Care Foundation will benefit from your skills,though pity it is part-time. I’d didn’t realise that universities can have Associate Professors based on soft money, I had assumed such roles were tenured which at least would protect job security when project funding was scarce. I find the dissonance between a govt promoting STEM as the area to be in while simultaneously making it difficult for scientists to carry out research frustrating to say the least! Though I suspect they are really more concerned about the T and the E.
Thanks for the supportive comments people. @Michael – I stood in the gen elections twice partly to at least have a debate about science with some of the MPs. Better than a Promote Science party would be for every scientist in the country to go and speak to their local MPs. Simply, explain what they do, and the efforts they go to to fund it…stories like mine are more powerful than the (often arrogant) message from the scientists saying that what we do is more important than everything else. Indeed, if another scientist bemoans the lack of funding and blames the Govt in my presence without having first spoken to their local MP you may read about me in the court reports! Good point about talking to your local MP. After you mentioned this a year (or two) ago I did visit mine and send her the occasional email as well. Unfortunately all too common in NZ . In my case, a reorganization at my CRI lead to a career shift. And the children and students hear these stories and decide to pass on the science career. My son’s case at 17 he is planning to leave NZ when he graduates from engineering school. By all means make your concerns clear to the local MP.